MIMOS is the Malaysian National Research and Development Centre in ICT. MIMOS operates as a strategic agency working under the Ministry of Science, Technology and Innovation (MOSTI). MIMOS works with the public sector to provide solutions, using the strength of big data analytics. Over the past 10 years, MIMOS has filed more than 900 Intellectual Properties in various technology domains and across key socio-economic areas. MIMOS R&D efforts cover a wide range ICT-based technology. As of 2012, their efforts are focused on 10 technology thrust areas, namely: Advanced Analysis and Modeling, Advanced Computing, Information Security, Intelligent Informatics, Knowledge Technology, Micro energy, Microelectronics, Nanoelectronics, Psychometrics and Wireless Communications. 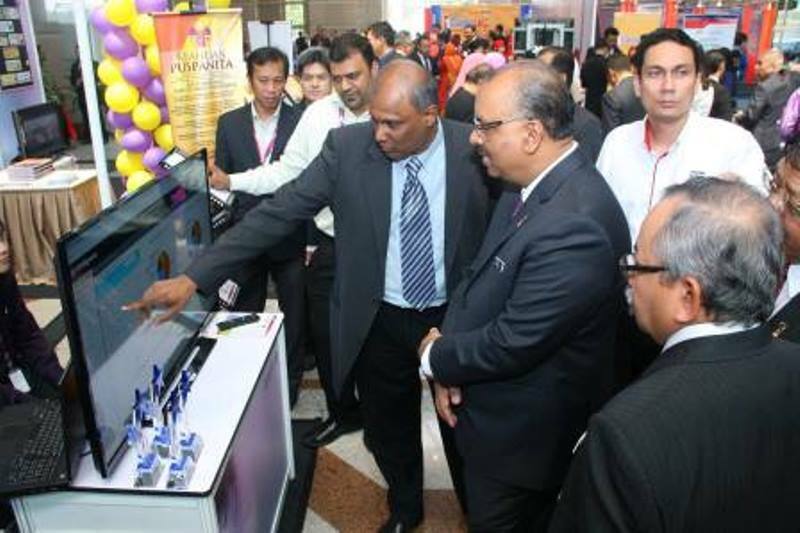 Following the Malaysia OpenGov Excellence Awards ceremony, OpenGov had the opportunity to speak to Mr. Thillai Raj T Ramanthan, CTO, MIMOS. We discussed how they drive data analytics, why big data analytics plays such a big role in creating a Digital Malaysia and what are working on . MIMOS has seen a lot of data over the years. They have created many articulate analyses from crime, health, weather, tourism, and other datasets. MIMOS recently opened the Big Data Analytics (BDA) Digital Government Lab (DGL) this past April. The opening of this lab falls in line with Digital Government Innovation Network (DGOIN). DGOIN is an initiative to accelerate BDA adoption in Malaysia. As Mr. Ramanthan told us, MIMOS has been chasing big data for quite some time. Since 2009, they have been looking at the power of big data analytics in developing more efficient systems. MIMOS has observed and concluded data patterns across several spectrums of the government. They have looked at crime analysis against the patrolling frequency of cars. From this, they found a correlation between the patrolling versus crime. This left them to question if patrolling was done in the right areas. In addition, MIMOS observed how weather patterns affect crime. “We began to come up with questions, such as: when it rains, what sorts of crimes occur?” Mr. Ramanthan states. Sentimentalism of the citizens is another key area that MIMOS has been focused on for the past couple years. In this research, MIMOS considers factors such as the cost of living, GST, and the citizens’ feelings about it. They are extracting data from Twitter, Facebook, Blogs and other websites to help interpret sentiments of the public. MIMOS hosts engines which run emotion analysis on the data collected. These engines will decipher whether the citizen is sad, angry, happy, or other emotions. MIMOS then uses the analyses to gather information to deliver to the government agencies. From this, conclusions can be derived as to why the citizens may feel a certain way and what they can do in response. Using the emotions in big data has led to innovative insights. MIMOS is also looking into acceleration of data analytics for real-time observations. For example, there was a very bad flood in Malaysia last year. It left many people to wonder, how could we not predict this? “The data was there, but they did not have enough computation power to compute it quickly. MIMOS came in to provide the computing power, so they could visualize and see when a flood is coming. This allows them to be more proactive about the crisis at hand,” said Mr. Ramanthan. Video Analytics is another data analytics area providing real-time intelligence. MIMOS research in video analytics has led to the introduction of SMART Lock-up. MIMOS SMART Lock-up is an integrated lock-up management system employing video analytics, wireless communications and business intelligence. It enables total situational awareness because the system prepares security personnel with vital real-time information for effective situation management. MIMOS states that the system will be first implemented by the Royal Malaysian Police. The main driver for MIMOS is providing an improved quality of life for citizens. “Our goal is for the government to use big data for the citizens’ direct benefit,” Mr. Ramanthan emphasized. Using the power of data analytics, they help arrive at conclusions that would not be found otherwise.